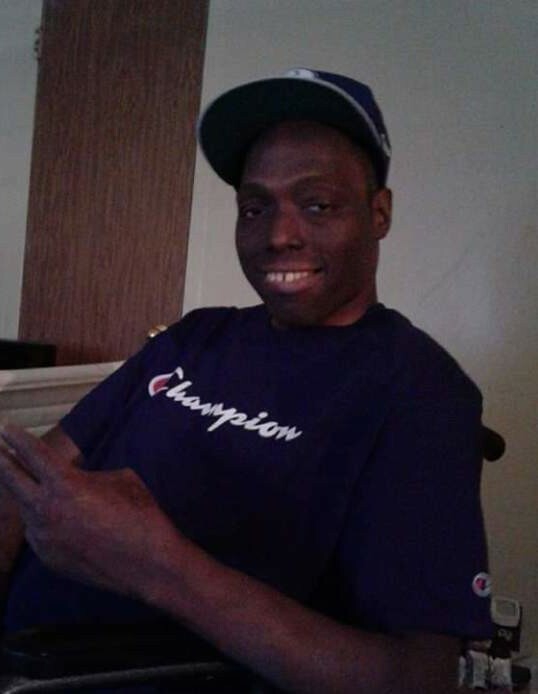 Roshee Williams,also known as Rosh age 44 died on Friday January 4th 2019 in Brooklyn. Roshee Williams died in his apartment,due to unbelievable circumstances..Roshee was born in Bellevue hospital, Manhattan NY June 9th, 1974 to a young 20yr old woman named liz. He was a happy baby and a happy man, who loved to smile all the time. Roshee was a very educated man. From his first computer at the age of 10 he instantly fell in love and knew what he wanted to due for the rest of his life. Roshee was about 6"1' and also played high school football as a receiver but, his passion was electronics, building and repairing. From His love, for electronics he was able to achieve a academic scholarship which he attended at Suny New Paltz college. He had two majors computer science and mathematics. Once he graduated he went on to achieve his dreams and continued to do what he loved. Roshee was never married or had any children but, he left behind two nieces Tejah and Solange, one brother Limek, four aunts Carol, Fran, Beverly and Debbie. He also left behind two uncles Joe and Mel, plenty of cousins and friends. Most importantly his best female friend Mo, who has always been by his side through thick and thin. Mo has children that he also seen as his own nieces and nephews, that he will miss and loved and vise versa. Roshee will be remembered as a bright intelligent shining light among his family, friends, and the communities from which he would travel too.